This picture says it all. It was taken at the finish line for the World Triathlon Series in Mexico. 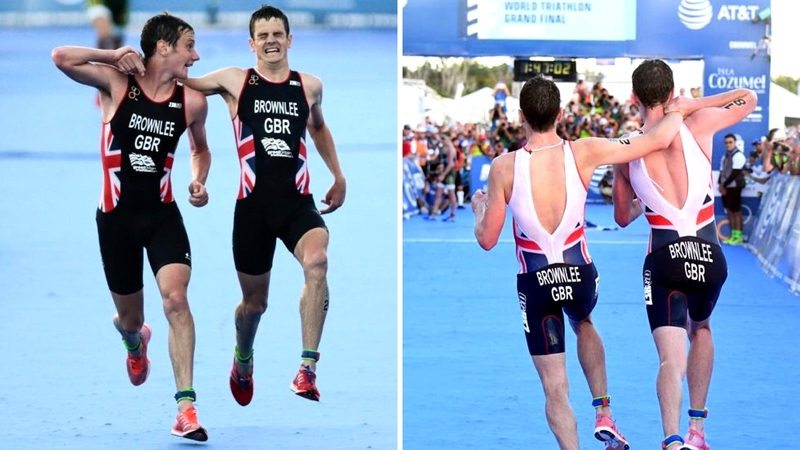 It shows Alistair Brownlee helping his brother Jonny over the line after ‘hitting the wall’. How is this relevant to your job search in the Middle East…well everything. Your career is like a race, you prepare, focus and train and on the day you hope you are ready for that perfect job, but like most things you need support. This current market is ‘difficult’, I speak to candidates on a daily basis that have either been made redundant or who are looking to get into a new role and it is not easy. What can you do? Get help and there is plenty out there. I recently spoke about how to manage your career on Dubai 92 Drive Live and was surprised to speak to a number of people that don’t really manage their careers. One candidate believed the best way to targeting his search was to apply to every job. Not the best way of doing it….. Here are some key pointers to help you focus on targeting your next job. Focus on the types of companies you want to work for and do your research. Follow the company on Linkedin, Facebook and Instagram (get to see what they are doing). Identify the key people in those companies and connect up with them on linked in. If you do, then make sure you send a short and concise intro (busy managers do not have time to read more than a paragraph. Remember this is just an introduction. Go on to their company website and see what roles they have (please do not apply to all of them. If you are in HR and they are asking for 5 years’ experience then make sure you have this). Put a list of three recruiters who work in the sector you want to get into and start building a relationship with them (this can take time as at the moment most recruiters are inundated with CV’s). Initially chat with them on the phone and then keep in contact/coffee. If you want to move disciplines i.e. Sales to HR then look internally. In this current market it will be difficult to do this outside of your existing company. Remember all the equity you have built up internally will now come in handy. Speak to your friends and find out if they know anyone in the company (A great book worth reading called John Guare’s Six Degrees of Separation) and get them to introduce you. Write a blog and get noticed. If you are serious about your industry you will always have something good to write about. Brush up on your courses. The CIPD is becoming the much sought after qualification on job specs for HR professionals these days. So all of this comes to one thing and that is manage your career but also seek help. The job search can be a lonely, frustrating and often infuriating process. Don’t blame the recruiters for not putting you forward (we are paid by clients to find the perfect candidate and believe me this frustrates us at times) and don’t blame the client for being myopic. In this market you really do need a hand so make sure you speak to previous bosses, colleagues and recruiters. Similar to the Brownlees you may need that extra help to get you over the line and there are plenty of people out there, providing you are focused on what you need.